***Independently Owned Authorized Goebel U.S. Retailer. Goebel U.S. and The Curio Shoppe are not and shall not be considered as joint ventures, partners, agents, employees or fiduciaries of each other and neither shall have the power to bind or obligate the other. Numbered, Limited Edition of 5,000 pieces worldwide. 10 1/4" Retail $1,200.00 Sale: $780 (7 ¼" x 9" x 5 ¼") Call & reserve..Please. selection for your shopping pleasure of Limited Edition and unusual pieces. 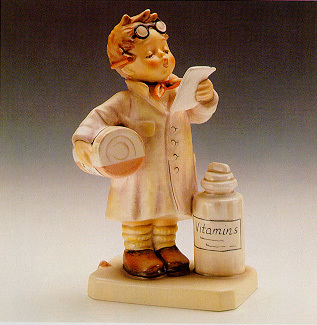 M. I. Hummel is one of the most popular collectable series in the world. 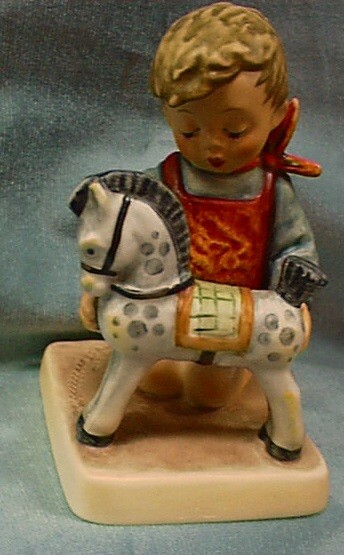 The Curio Shoppe has a huge selection of old and new pieces. These beautiful figurines capture the innocence of life at some of its finest moments. Here are a few fine pieces. are retired, edition closed (Limited and sold out by Goebel), or are suspended. We have these items. A Free Flight (SPL LTD ED of 1997 Back Stamp) "O Canada"
4 ¼" – 4 ½"
4 1/4" – 4 ½"
5 ¼" – 5 ½"
4 ¾" – 5 ¼"
4 ¼" – 4 ¾"
7 ½ x 6 1/8"
5 ¼" – 5 ¾"
Little Troubadour (Club Back Stamp) Preview Ed. 7 ½" x 5 5/8"